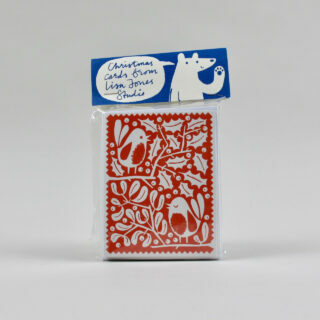 There are 10 cards in this pack – 5 each of two designs: Robins and Hearth Hound. The cards individually retail at £2.20 each so . . . do the math. A great opportunity to send Christmas cards designed by one of our favourite illustrators/designers. Handily there are also 10 envelopes in the pack!